Globally Somaliland is among the countries with the highest FGM prevalence rate with 95% according to recent reports. FGM/C is deeply rooted in Somali Culture and its practice goes back to centuries. According to the Edna Adan Hospital Report in 2016, 95% of the women who delivered in the hospital had undergone FGM/C. The FGM practice is not illegal in Somaliland. Though the Ministry of Religion and Endowment has released a declaration abandoning the use of certain forms of FGM/C, people continue practicing and especially in the rural areas. To overcome this grave human rights violation, people’s perception and attitudes must be changed. SOYDAVO’s has been implementing projects dedicated to end the FGM practice in Somaliland over the past 10 years. Despite numerous challenges our field staff face every day, SOYDAVO continued its commitment to ensuring that girls are safe and protected from FGM and VAWG. 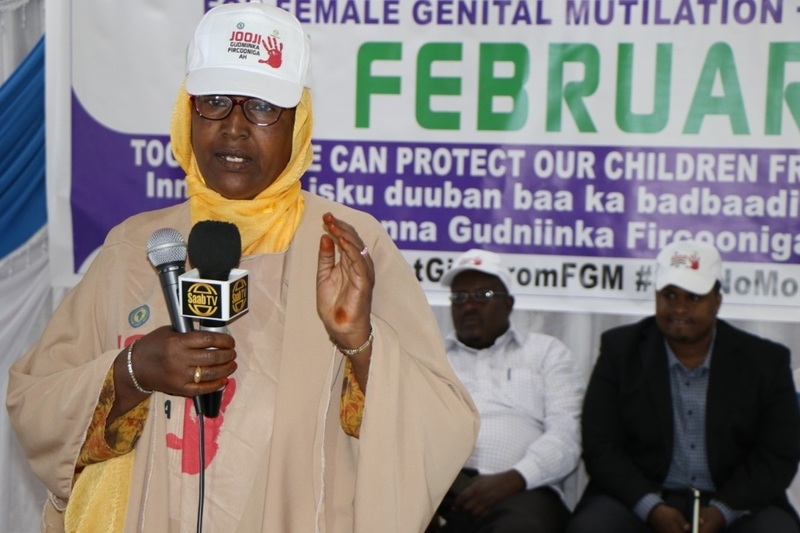 As the world commemorates the International Day of Zero Tolerance for FGM on 6th February every year, SOYDAVO held a commemoration event in Burao, Somaliland. More than 100 anti-FGM committees dedicated to eradicating FGM in Burao and Oodweyne districts made their voices heard in yesterday’s event in Burao. Our strong anti-FGM committees’ messages were clear and demanded a bill to be passed to protect girls from FGM. The regional and local government officials in Togdheer region have participated in the event. They have all ensured their support and promised to stand together with the anti-FGM committees and SOYDAVO in the struggle against the FGM/C. SOYDAVO declares that collective action and commitment is needed to eliminate the FGM/C. SOYDAVO is more committed than ever in the fight against FGM and VAWG in Somaliland. Thanks to International Solidarity Foundation – ISF for supporting and funding SOYDAVO’s VAWG projects in Somaliland. We value our partnership and collective actions against FGM and VAWG in Somaliland. Together we can create hope for girls and women by collectively addressing this harmful traditional practice.